Diplomate of the National Dental Board of Anesthesiology Dr. Miller's father was a dentist, and he witnessed his father's passion towards the profession as a child, but Dr. Miller thought he would go into psychology instead of following his father's footsteps. He soon changed his mind, entered the field of dentistry, and decided focus on dental phobic patients---those who have a fear of a dentist. His goal is to help them receive optimum dental health, and he has found one of the best methods is the use of intravenous sedation. Dr. Miller graduated from the University of Pennsylvania School of Dental Medicine in 1980. He did post-graduate training at Mt. Sinai Medical Center in dental anesthesia and at the Bronx Lebanon Hospital of Albert Einstein in general dentistry. He received board certification as a Diplomate of the National Dental Board of Anesthesiology in April 2002. At the St. Vincent's Catholic Medical Center of Brooklyn and Queens, Director: Dental Anesthesiology and Post Graduate Resident Training Program. At the Jamaica Hospital, he is Chief of the Section of Anesthesia and Pain Control. 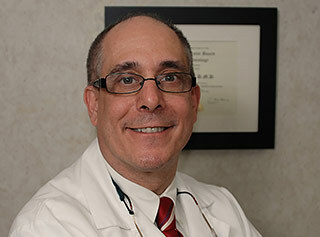 He is also a clinical instructor at the New York Medical College in the Department of Dentistry. Dr. Miller has Fellowships in the American Dental Society of Anesthesiology and the International Congress of Oral Implantologists. He was president of the New York State Dental Society of Anesthesiology, and he is certified in dental anesthesia, general anesthesia, and IV sedation in the State of New York, as well as being certified in advanced cardiac life support by the American Heart Association. Dr. Miller is a member of the American Dental Association, Queens County Dental Society, and the New York State Dental Society Anesthesia Executive Board. On the personal side, Dr. Miller has two daughters and a son. Outside of dentistry, Dr. Miller enjoys golf, cooking and spending as much time as possible with his grandson.